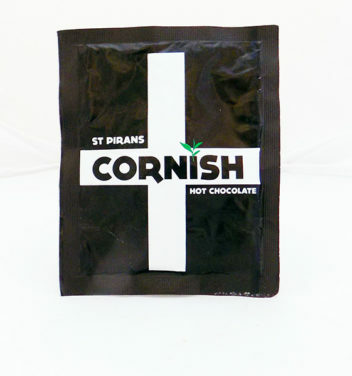 St Pirans Cornish Hot Chocolate in a single serve sachet. Just add hot water, stir gently,sit back, relax and enjoy! stabiliser E415,E340, whey product,dextrose,anti caking agent341,flavouring.